David Ortiz finishes strong. The Boston Red Sox ensured this weekend that their star designated hitter would finish with the organization. Ortiz signed a contract extension that pays him $16 million for the 2015 season and gives the club options to retain the player in 2016 and 2017. 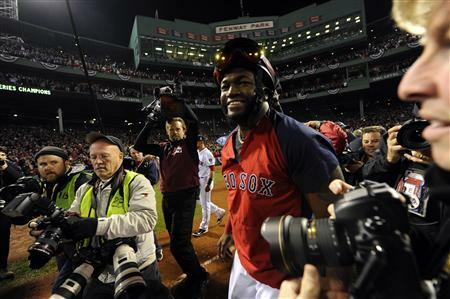 Ortiz hit .688 with two home runs and six RBI en route to a World Series MVP award in 2013, adding to his already legendary status as a clutch postseason performer. Ortiz batted 400 with five home runs in his first postseason run to a World Series title in 2004 and hit .370 with three home runs in the 2007 postseason when the Red Sox swept the Colorado Rockies in the World Series.